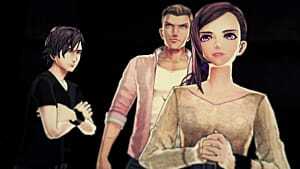 If there's one thing worse than being stuck with Eric and Mira in Zero Time Diemma, it's being stuck with just Eric and no Mira. Since, Eric's starting to go off the deep end pretty quickly, you'll have to keep your wits about you and take on this puzzle by yourself. This puzzle has a lot of distractions to get caught up on, but just focus on the little details and you'll do just fine. To the left, there's a hammer in a glass case. 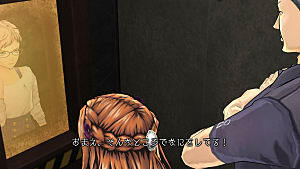 To get the hammer, you'll have to solve the two puzzles at either end of the case. These puzzles are pretty self explanatory (just think of that Rush Hour game with the plastic cars) and these two are probably the easiest in the game. Equip the hammer, then use use it to hit the red circles on the ground. This will cause sections of the room to turn. Hit the circle facing toward you. Now another section of the room should turn as well. Keep turning the room until you see a glass panel like the first one. There are two more block puzzles to solve to get the driver handle. By this point, you've probably turned the first section of the room around completely. If you haven't, do that now, and then check the strange shaped panel on the left. Examine the slot at the bottom, and you'll get the driver tip, which you can combine with the driver. Turn the third section of the room around so it's on its side. Examine the glass panel on the side to play (you guessed it) two more sliding block puzzles. These ones should be fairly easy to solve, though. Open the cover to find a note and a gear-shaped hole. Put the driver in the hole to get to the next mini puzzle. There are three rings with numbers on them. The goal of this section is to get the number in the center down to zero. Blue numbers subtract from the total, red numbers add to it. It may take a bit of trial and error, but it shouldn't be too difficult. A contraption will rise from the ground. Put the driver in it and turn the room so that the green lines match up. This will cause a final glass panel to appear, with a shotgun inside. To get the shotgun, you'll have to solve (all together now) two more sliding block puzzles. These puzzles are the hardest in the level, so just remember which areas you'll have to clear out to solve them. From there, it should be easy to figure out which pieces go where. Also, keep in mind that only one piece can move at a time, so interlocking them together too early is a good way to get stuck. Once you have the shotgun, fire it at the button. It'll break the glass, and you'll be able to push it and escape. Next is the "decision" section of the game, and it's one of the easier ones to get stuck on. You'll be asked for a name. 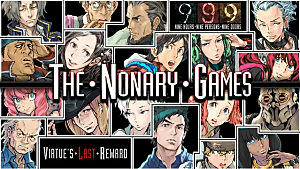 Any character's name (including Zero) will get you a game over, and kick you to the fragment select scene. While you'll get to see a lot of different dialogue for each name, you won't get anywhere. To get out, either wait for the timer to run out or type "I dont know" (the game won't let you use apostrophes). Doing so will let you progress to the next fragment without a game over. And that's how to survive the pod room! Congrats, you managed to seek a way out and escape with your life. 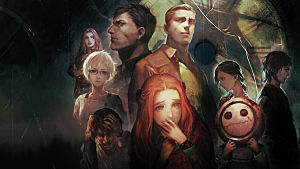 What Zero Time Dilemma level are you stuck on? Let us know in the comments and we'll help you out! 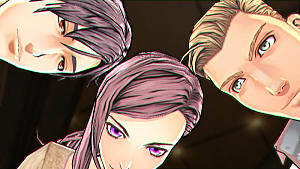 Zero Time Dilemma is out next week! 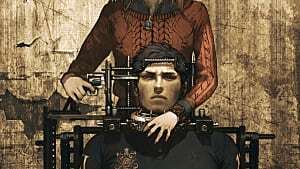 Zero Time Dilemma: Fix the Transporter! 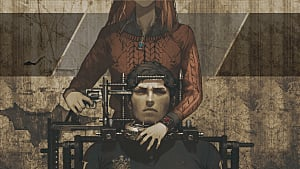 Zero Time Dilemma: Escape the Biolab! 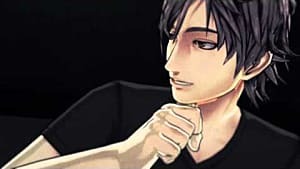 Zero Time Dilemma: Escape the Control Room!